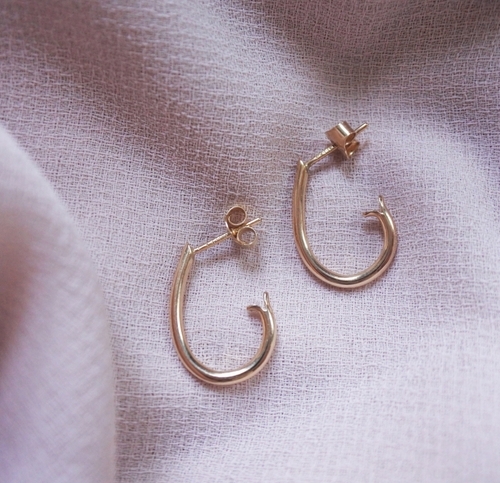 These earrings are made in 18K gold (choose between red, white or rose gold). The earrings are 1.8mm thick & ca 20mm long. This earrings are made to order. Do you need your earrings faster? Email me at contact@malinivarsson.se and we will see what we can do.